Google and Samsung launched Galaxy Nexus, the third Nexus Smartphone, and Ice Cream Sandwich (ICS), the new Android version that brings many of the Honeycomb features to smartphones. 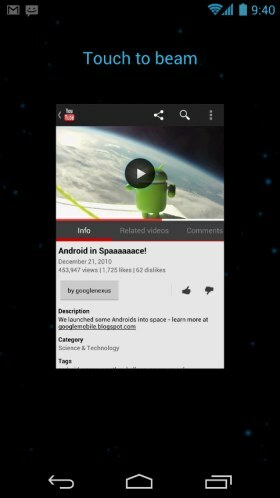 Ice Cream Sandwich is the first Android version that will work on smartphones, tablets and TVs, but today's launch only focused on smartphones. 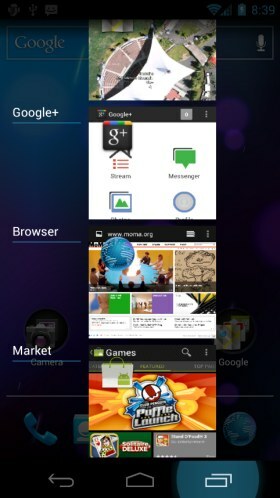 Android 4.0 brings a polished interface that's more visual, more consistent and more interactive. 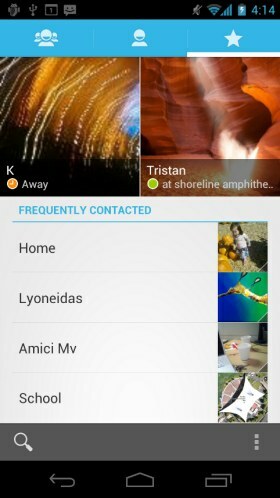 Hardware buttons are replaced by virtual buttons in phones like Galaxy Nexus and Android 4.0 supports this change, while also allowing users to temporarily hide the buttons. Contextual menus are now displayed consistently at the top of the screen, so it's easier to find them. The menu button has been replaced by a recent apps button that lets you switch to an app you've used recently. 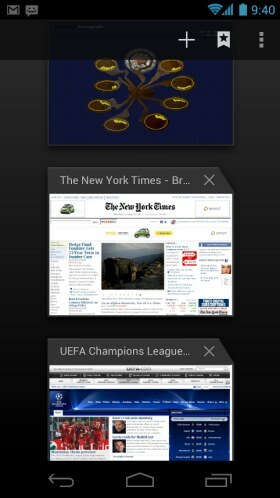 This feature was already available in Android, but the new interface uses thumbnails and it looks much better. Just like in iOS, you can now create folders by dragging one app onto another app. You can also uninstall apps or disable pre-installed apps from the launcher. That's a good news for users because many carriers bundle applications that aren't very useful. Widgets are now resizable and can include more features, just like a regular app. The standard widgets are more powerful and you'll probably use them more often instead of opening the corresponding apps. You no longer have to unlock a phone to check the latest notifications, see the album art of the song that's currently playing or open the camera app. You can now respond to incoming calls using text message templates and dismiss individual notifications. There's also Face Unlock, a simple way to unlock a device using facial recognition. The soft keyboard has been improved and it offers better suggestions. There's a new spell-checker that underlines errors and suggests how you could fix them. Android's voice input engine lets you dictate a text without having to pause. "Users can speak continously for a prolonged time, even pausing for intervals if needed, and dictate punctuation to create correct sentences. 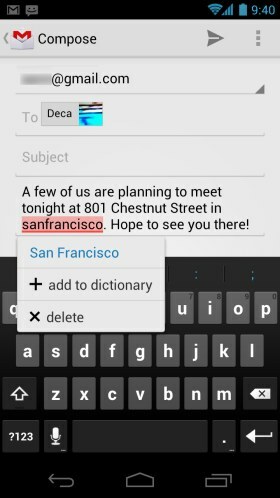 As the voice input engine enters text, it underlines possible dictation errors in gray." 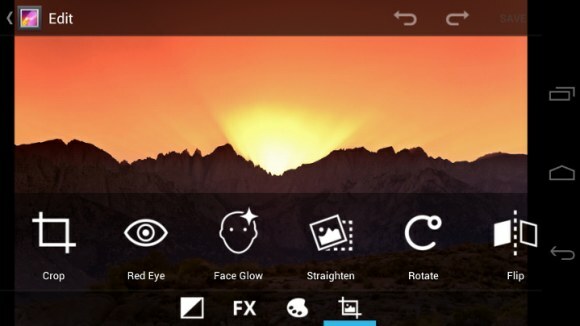 There's a new People app that integrates with Google+ and other social services, an updated calendar app that allows other applications to add events, visual voicemail in the phone app, a camera app that supports continuous focus, zero shutter lag exposure, stabilized image zoom, focus detection and single-motion panorama. The redesigned Gallery app focuses on functionality instead of eye-candy and makes it easier to edit photos and sort albums by time, location, people and tags. The email app brings better contact auto-completion, templates, integrated menu for accounts and labels, nested subfolders and searching across folders on the server. NFC is now used in Android Beam, a simple way to share contacts, apps, videos with compatible devices. "It's incredibly simple and convenient to use — there's no menu to open, application to launch, or pairing needed. Just touch one Android-powered phone to another, then tap to send." The reference device for Android 4.0 is Galaxy Nexus, a Samsung smartphone that uses a 4.65" Contour Display (HD Super AMOLED) with a 1280 x 720 resolution, a dual core 1.2GHz processor and has support for LTE or HSPA+, depending on the carrier. The phone will be launched next month in the US, Canada, Europe and Asia. Obviously, you shouldn't expect to be able to update Nexus S or other Android devices to ICS before the Galaxy Nexus launch. 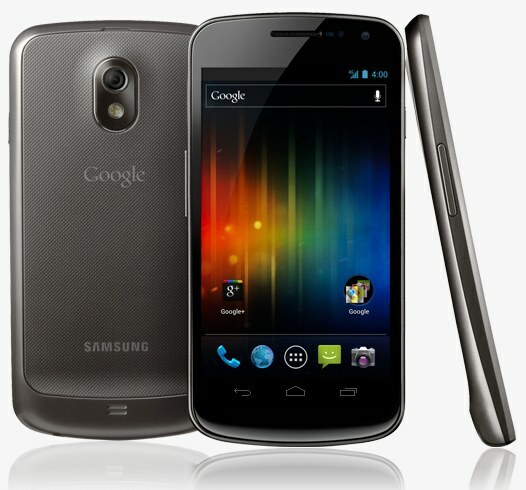 Will we be able to buy the Galaxy Nexus direct from Google? And if so does anyone have a timeframe. There seems to be some good functionality, but I really, really, REALLY must say that the UI is ugly. this is the best looking android UI. wtf. Some cool features in there. I hope HTC get around to updating my HTC wildfire s in a punctual manner and before I get a chance to root it and do it myself. I'm still on fence between WP7 or Android (no iOS!) but one thing I like about Ice Cream Sandwich is that it now uses 3 buttons, like WP7, instead of 4. I would also be nice if buttons are not standardize, like in WP7, and not switch them around. The new UI is beautiful! 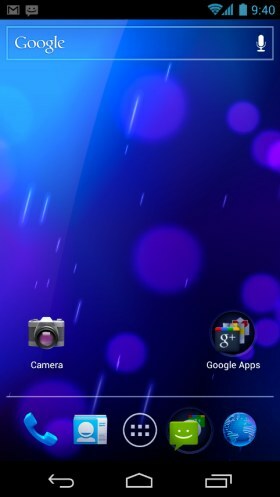 Really looking forward to buy the Galaxy Nexus, it looks brilliant and loved what I saw about Ice Cream Sandwich. Are they officially releasing Ice Cream update for all smartphone and . . . does that includes to tablet also? I have a Samsung Galaxy Tab GT-P1000 and I haven't receive the Ice Cream update yet. When is the launch date? And why doesn't it have an app like Siri named Andy?